The colourful vegetable garden spans 4,000 square metres, sitting close to the restaurant within the hotel's impressive grounds which boast lush greenery and stunning views of the harbour. Renowned as one of Malta's leading resorts, the majestic Phoenicia Hotel has recently unveiled its new kitchen garden which will supply 80% of dishes in its Pegasus restaurant, promising guests an exciting new menu of delicious, healthy cuisine, sourced on site. The colourful vegetable garden spans 4,000 square metres, sitting close to the restaurant within the hotel's impressive grounds which boast lush greenery and stunning views of the harbour. Currently, the array of fruit and vegetables in the new garden includes broccoli, tomatoes, red cabbage, onions, herbs, lettuce and watermelons, with rotation on a three-month cycle. salads that come from our own garden and desserts made with Maltese ingredients. "Guests dining at the restaurant can enjoy their dinner knowing that it's good for their body and good for their health, and that enhances the whole holiday experience. "Chef Halevi has previously worked with leading resorts across Europe and brings his own innovative style and flair to traditional Maltese dishes. Some signature dishes are served theatrically at the table, creating an impressive dining experience to accompany the mouth-watering cuisine. Halevi continues, "We are investing a lot of time on menu development and staff training, and utilising techniques that maximise flavour and can also make best use of the garden produce; such as steaming fish the oriental way with aromatic herbs in the oven, to preserve the juice and all its wonderful properties. "Pegasus recently received an Excellence award from TripAdvisor, alongside the Phoenicia's TripAdvisor Certificate of Excellence, which is one of many accolades the hotel has received over recent years. 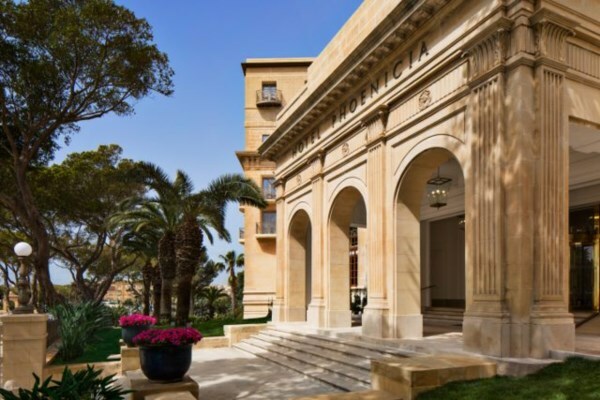 The Phoenicia is also home to the acclaimed Phoenix Restaurant which has long been a favourite of A-listers visiting Malta thanks to its stately grandeur and fantastic fusion cuisine, which will also benefit from the new garden.